I'm not big on books like at all. Not unless they have been written by somebody I really like or am otherwise fascinated by in some other way. So when I heard Kari Byron was releasing a book I just had to have it. I've always had a crush on her since I first saw her on Mythbusters so I was dying to see her thoughts on various things. Because it hurts to read I can at least just take in just a few pages at a time rather than just read a whole chapter at a time. From what little I have read so far, I highly recommend Kari Byron's book Crash test girl. Finished Earth Abides and really liked it. Virus wipes out much of humanity and about the survivors. Not nearly as dated as something written in 1949 should have been. Was recommended Hyperion by Dan Simmons. Made it 4 pages in and had to stop. One of the things you have to deal with when reading scifi is made up words (or words you know with things like "space" added to them). I'm OK with that when they are few and far between or when you can easily guess the meaning that the author is trying to convey. I think every sentence on those first 4 pages had a made up word. Maybe if I continued, those words would have been defined or become more clear, but if I'm clueless about what's going on that early it's generally not the type of scifi I find entertaining. Started Pandora's Star by Peter Hamilton. 1/4 of the way through and liking it. Loved Pandora's Star. Then read the sequel. Pandora's Star was actually the second book in the series, but put off reading that one and started the 4th book in the series which takes place a couple of thousand years after the third. Not liking it as much as the other 2, but giving it a chance. Almost done Bridge of Birds. Really fun Chinese-style comedic adventure fairy tale. Got it for a secret santa gift and it is well worth checking out. 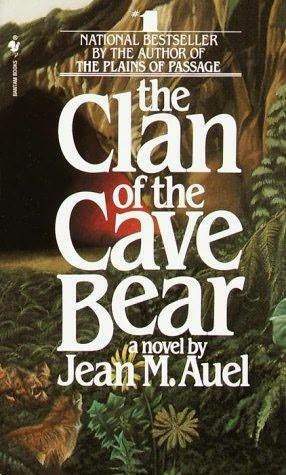 This was an interesting look at a tribe of Neanderthal and a more modern human ancestor seen through the eyes of a young girl who becomes lost after an earthquake separates her from her family. After narrowly escaping a run in with a cave lion she is adopted and nursed back to health by the medicine woman of a clan who are very different in appearance from her. Eventually she is accepted by the tribe and even trained as a medicine woman. However she learns to hunt with a sling which is completely forbidden by clan custom. There's a lot of challenging the patriarchy subtext here that is really cool and inspiring to read. Ayla's journey from child to woman with a son of her own is an interesting progression that's actually quite inspiring. I'm looking forward to reading more of this series. The 25 years between books was the #1 reason I try and wait for a series to be finished before starting them. Reading Guards, Guards, my first solo Terry Pratchett book. A few days ago I got a book at Barnes and Noble for a really good price. It's called Code of the Samurai - Bushido: The Soul of Japan. It was originally published in 1900 and written by Inazo Nitobe. I've always been fascinated with Japanese culture, especially their code of honor. I got the book hoping to maybe discover something about myself or some perspective on the world or my life that I had not yet considered. Finsished the 4th and 5th book in the series and half way through the 6th. Books 2 & 3 were sci-fi (again, I skipped book 1) where as books 4, 5, and 6 kind of tell 2 different stories- 1 story line is sci-fi while the other storyline is more fantasy. Generally don't enjoy fantasy, but have liked both storylines enough to continue reading despite not liking 4, 5, and 6 as much as I liked books 2 & 3.
have liked both storylines enough to continue reading despite not liking 4, 5, and 6 as much as I liked books 2 & 3. 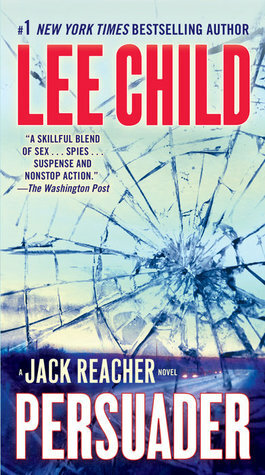 The seventh book in the Jack Reacher series is also the first told from the first person perspective. Lee Child's descriptive writing gives us a look at the protagonist's analytical mind. Further insight on how he thinks and what drives him. There a few references to previous books and characters but nothing that would stop anyone from enjoying this on it's own. Right away the reader is hooked as Reacher is thrown into a situation where the readers wants to know how he got there and how he's going to get himself out of it. We also get flashbacks that build up throughout the book and connect to the stories villain which eventually reveal why Reacher is doing exactly what he's doing. Fasted-paced action with an interesting plot. I've already started the eight book in the series. I know this is a little OT, but there's one book I WISH I could be reading right now, and it's "Don't Stop Believing" by Olivia Newton John. It's her first(AFAIK) autobiography. I really want to get it but as I understand it's a little difficult to get a hold of. I saw it available through Amazon.com third party sellers for $50+ bucks but I really don't want to pay that much for a book that is probably coming from overseas. Anyway even though I don't like e-books, this is the first time I've ever wanted a book to be released on Kindle but... not sure that's going to happen. eBay also has some for $30 with free shipping, but it’s coming from Australia... just like her.